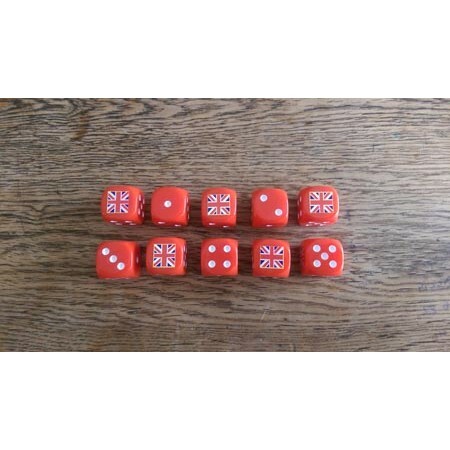 A Set of 10 Dice - Generic British Union Jack Dice (16mm). 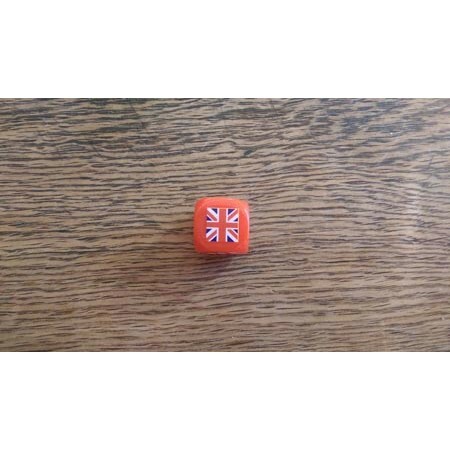 These custom designed dice have a Union Jack PRINTED where the 6 would be. 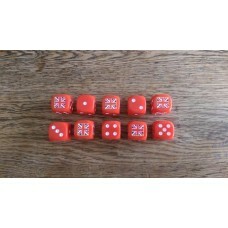 For use in any historical miniature wargames such as Flames of War, and Pike and Shot.